In search for an attractive, yet undervalued, copper related company we found Galileo Exploration Ltd. (TSXV: GXL – $0.09 & Fra: P5HH – €0.06). 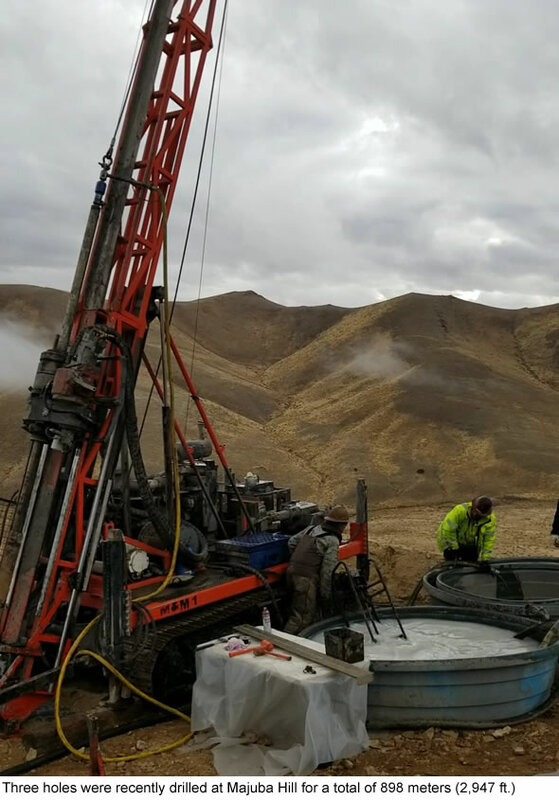 The Company is currently focused on its advanced stage Majuba Hill copper/silver/gold porphyry project, which is located twelve miles from Rye Patch Gold’s Florida Canyon Mine and thirty miles from Coeur Mining’s Rochester Mine in Nevada, USA. Both of these mines are long lived open pit, heap leach operations producing both gold and silver. Historic underground mining on the Majuba Hill property reportedly produced 2.8 million lbs. of copper, 184,000 ounces of silver, 885,800 lbs. lead, 106,000 lbs. zinc, and 21,000 lbs. tin between 1907 and 1960. Note that these are spectacular factual numbers, not speculative ones. However, more recent exploration work has possibly outlined a new and untested copper mineralized zone measuring approximately 500m x 700m (86 acres). The target, outlined by anomalous copper/silver soil geochemistry, and a strong Induced Polarization (IP) chargeability anomaly, lies at the base of Majuba Hill. Copper oxide mineralization extends from surface to 150 metres (500 ft.) deep and sulphide mineralization has been intersected to depths of 700 metres (2,300 ft.). Induced Polarization is an electromagnetic geophysical technique that passes pulses of current through the ground and measures the residual current decay between the pulses. The decay is caused by electrochemical reactions within the sulfide grains and is referred to as chargeability. In addition to the IP response, a resistance measurement is also made using the same equipment. On November 4th, 2017, Galileo commenced its initial drill program at Majuba Hill, to test IP chargeability anomalies that were identified. Three HQ core holes were drilled at three separate sites for a total of 898 meters (2,947 ft.). Samples of the core have been shipped to the lab for further evaluation. Investors meanwhile eagerly await initial assay results, which are expected in a few weeks. Besides this high potential anomaly, both the Company and project have lots going for it. 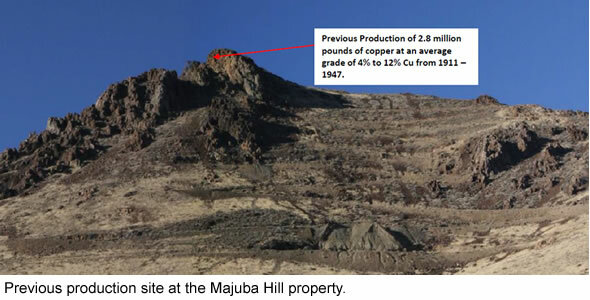 First, Majuba Hill is located in the mining friendly State of Nevada, which is considered to be one of the best places in the world for exploration and discovery of both base and precious metal deposits. In addition, the project is easily accessible via 22 miles of well-maintained dirt roads from U.S. Interstate 80. Finally, the Company’s Board of Directors and management team have a successful history of acquiring, exploring, discovering and developing quality projects. In fact, several members of the team have worked in Nevada over the last 30 years. All in all, Majuba Hill shows indications of a potentially large Cu/Ag/Au mineralized body with many features in common with both large porphyry copper and silver, and tin type mineralization. In the coming weeks, we’ll do a lot more research on Galileo Exploration, but we already wanted to alert you about this possible diamond in the rough. Another good call. Keep it up. Thank you again. I appreciate your kind words and support. Hello, any News Aboutaleb GXL, they released some results…? It’s good to hear from you. We feel that Galileo is going in the right direction. We will soon publish an interview with the Company’s CEO and subsequently we will publish our initial Research Report on Galileo. So lots of news coming.